France won the World Cup for the second time after beating Croatia 4-2 in a pulsating final in Moscow that included a controversial use of VAR. A Mario Mandzukic own goal (18) set France on their way in Sunday's incident-packed showdown, only for Ivan Perisic to fire home an equaliser 10 minutes later. But seven minutes before half-time, referee Nestor Pitana contentiously awarded a spot-kick for a handball by Perisic after consulting pitch-side replays, which Griezmann converted. Second-half goals from Paul Pogba (59) and Kylian Mbappé (65) took the game away from Croatia, who did score a comical consolation through Mandzukic after a Hugo Lloris error. The victory means France boss Didier Deschamps becomes only the third person to lift the trophy as a player and manager, following Mario Zagallo and Franz Beckenbauer. Deschamps' risk-averse tactics allowed Croatia to boss the opening stages in terms of possession but it was France that struck first, with their first meaningful attack. Griezmann whipped in a free-kick with his left-foot and, in a desperate attempt to clear, Mandzukic flicked the ball past his own goalkeeper and became the first player to score an own goal in a World Cup final. 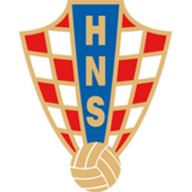 Croatia were not to be deterred by falling behind for the third time in the knockout stages and Perisic drew them deservedly level. The Inter Milan forward seized the ball on the edge of the box and took a touch with his right foot to take him past N'Golo Kante before rifling a left-footed shot past Lloris, via a minor deflection off Raphael Varane. 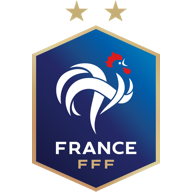 France maintained their timid approach and had yet to register a shot on goal when the referee stepped in to gift them an opportunity to regain the lead. A corner from the right was flicked on by Blaise Matuidi and the ball struck Perisic's hand, although he seemed to know little about it. Initially, Pitana signalled for just a corner but a VAR review was initiated and after watching numerous replays, Pitana overturned his original decision and awarded the penalty, which Griezmann rolled home. Deschamps' side increased their intensity after the break with Mbappe finding more space on the counter-attack and the 19-year-old played a part as France extended their lead on 59 minutes. Pogba started the move with a sensational half-volleyed through ball for the Paris Saint-Germain striker, who then found Griezmann. The ball was laid back to Pogba and on his second attempt, fired a left-footed shot that completely wrong-footed Danijel Subasic. Six minutes later, France wrapped up the game. As Croatia pushed on, Mbappe found space about 25 yards out and hit a low effort that once again caught out Subasic, who seemed to be struggling to dive to his left. Croatia were given a lifeline in the 69th minute when Lloris unsuccessfully attempted to dribble around Mandzukic on his six-yard line, the striker's block sending the ball into the bottom corner of the net. But despite their efforts, Croatia were unable to muster another comeback as France saw out the final 20 minutes to be crowned for the first time since Deschamps captained the class of 1998 to glory. This was the highest-scoring World Cup final since England beat Germany 4-2 back in 1966. Mbappé (19y 207d) is the second-youngest player to score in a World Cup final, after Pele for Brazil in 1958 (17y 249d). Griezmann has scored 10 goals for France in major tournaments - only three players have scored more for Les Bleus (Michel Platini 14, Just Fontaine 13, Thierry Henry 12). Mandzukic is only the second player in World Cup history to score a goal for his team and an own goal in the same match, after the Netherlands' Ernie Brandts against Italy in 1978. A frustrating domestic campaign will be all-but-forgotten about now for France's midfield maestro. Big players have the ability to peak at the right time and Pogba has certainly found his best form in the latter stages of this tournament. As others around him were being overrun in a one-sided first-half, Pogba kept his discipline and got his team playing further forward in the second-half. His ball to release Mbappe for the third goal, which he finished off, was the highlight of the match. A force of nature when he's in this mood.